If you asked me what my favorite type food was, I would have to say Mexican. Italian is a close second, but that’s for another post. This recipe is from a fellow military mom, Laura. She graciously shared it with me and now I’m sharing with you. 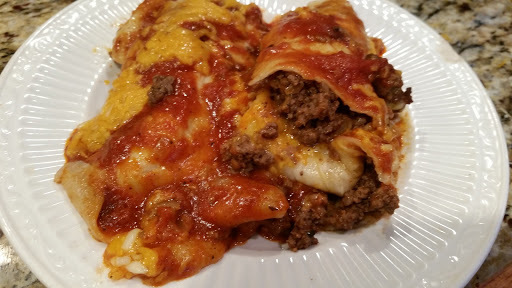 To assemble the enchiladas, spread a thin layer of the enchilada sauce over the bottom of a 9X13 pan. To each tortilla add a large spoon of the meat mixture and top with grated cheese. 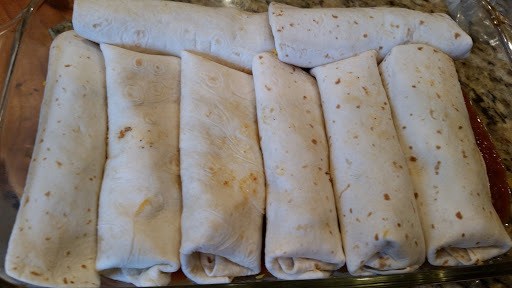 Fold the bottom of the tortilla over the mixture, then roll and place seam side down into your prepared pan. 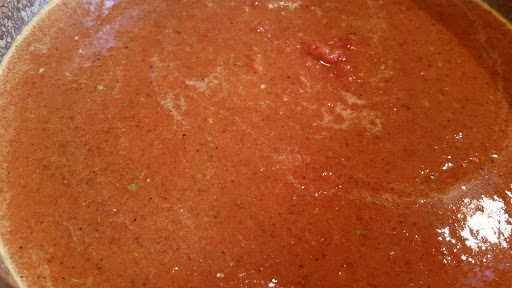 Cover with the remaining enchilada sauce. 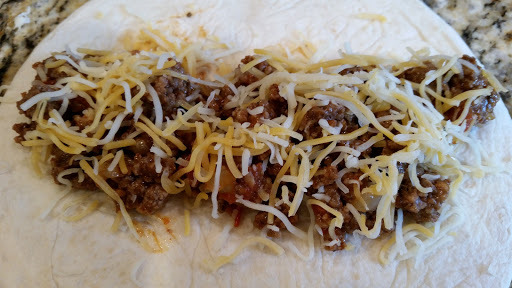 Top with lots of grated cheese, and cover in aluminum foil. Bake at 350 degrees for 25 minutes. Remove the foil and continue to bake until the cheese is melted and golden brown. Heat the oil in a medium skillet. 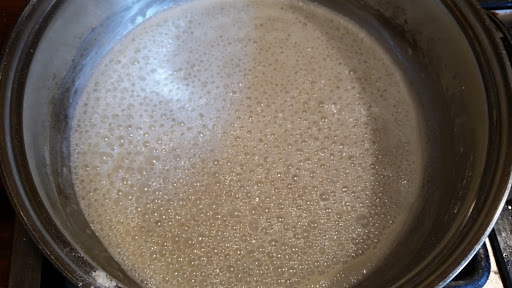 Add the flour and whisk until it is smooth. Cook for 2-3 minutes. Add the tomatoes, chili powder, oregano, onion powder, garlic powder, cumin, and brown sugar. Cook on medium heat until it begins to thicken, about 10 minutes. Stir frequently as it will stick and scorch. The longer this cooks, the darker the sauce becomes. Here is the final product. Add sour cream, lettuce, tomatoes, hot sauce (for me)….it’s scrumptious!